The Asian region was regarded, for many years, as the only suitable destination for software outsourcing (customers were attracted by affordable hourly rates and smaller development time frames). 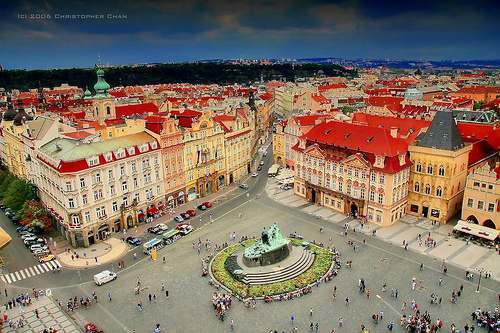 However in the last decade a new destination has emerged: Eastern Europe. Countries such as: Latvia, Hungary, Czech Republic, Romania, Poland, Ukraine etc. made a name for themselves on the outsourcing market by providing a complete set of services - consulting, development, support, maintenance. Latvia boasts a workforce of 1.2 million professionals, and these resources are constantly growing - around 5,900 computer science students (and 3,300 students with electronics and automation specialization) are graduating each year from the Latvian universities. Also Latvia has one of the fastest growing economies in Europe, which makes this country a stable environment, ideal for outsourcing projects. 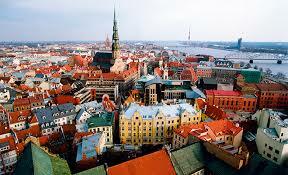 Furthermore, Latvia benefits from incentives and regulations implemented by the government. However, an unstable market is less appealing for outsourcing investors - and as far as this is concerned, Latvia has a mediocre reputation regarding the rate of corruption in the country. Hungary has a vast IT market, consisting of IT consultancy, outsourcing and development services, and also IT training, of which outsourcing is the area with the best overall results. Also, companies such as: Nokia, Ericsson, HP-Compaq, Siemens, SAP etc. have boosted Hungary's IT industry and have kept it out of the economic crisis. So Hungary provides a stable economic climate for investors and a vast market for customers who are searching for professional outsourcing services. However, there are some drawbacks for outsourcing to Hungary, such as: higher hourly rates for development (as compared to other competitors), a relatively small workforce (when compared to countries such as Poland, Romania etc., Hungary has fewer IT specialists) and poor English skills. Czech Republic is one of Europe's top locations in terms of software development and outsourcing services (software such as AVG and Avast! have a worldwide reputation as efficient Antivirus solutions). Even more, Czech Republic is a location with a lot of potential for outsourcing businesses, due to its highly qualified IT professionals, affordable rates and political stability. These factors have been key components for attracting big names in IT, such as Microsoft, IBM, Sun Microsystems, Red Hat, SAP and Hewlett-Packard. On the other hand, the nation's industrial regulations still represent an issue for potential investors, and while the Czech responsibles are trying to improve this sector, some have stated that the country is still too bureaucratic. Romania has become a popular IT outsourcing destination thanks to the good reputation of its IT specialists, affordable rates, and excellent language skills. Also, as part of the European Union, Romania is able to provide a stable political and economic climate and to encourage IT investments. Major IT companies that have invested in Romania (such as IBM, Intel, Siemens, HP, Oracle, Dell, Nokia, Xerox and Wipro) have found here a modern ecosystem that encourages growth and development. A couple of drawbacks: the slow modernization of the Romanian infrastructure and the multitude of regulations that investors must meet in order to start their businesses in Romania. According to the audit and consultancy firm KPMG, Poland ranks third at global level regarding shared services centers and business process outsourcing, right after India and China. 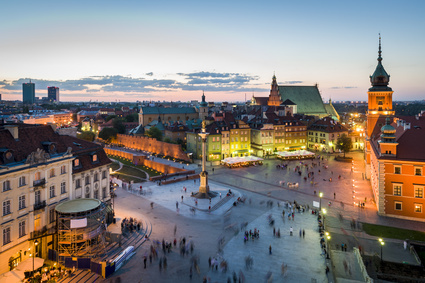 Some of Poland's major advantages are: the trained and educated workforce, economic and political stability, and the stability of the national currency - zloty. However, the hourly rates in Poland are actually higher than many of its outsourcing competitors. Also, Poland has difficulties in encouraging and managing opportunities for the country's IT specialists. Ukraine is a country with a good track record in terms of software development services. It has served as a "technological hub" for the Soviet Union, and now it has around 4.000 IT companies in centers such as Kharkiv and Kyiv, which provide offshore development, and which generate a market volume of nearly $2.2 billion. Some of the advantages that Ukraine has over its competitors are affordable rates and a great adaptability towards Europe, United States and also Russia in terms of "work culture" and language. Some of the companies which invested in Ukraine are Siemens, Ericsson and Hewlett-Packard. A weak point of Ukraine is the fact that it "produces" fewer IT specialists, when compared with other Eastern European countries, also the global financial crisis has deeply impacted Ukraine's economy, affecting the outsourcing industry as well. Unfortunately, latest events have also shown that the political climate in Ukraine is very unstable and turmoiled. Countries from Eastern Europe are emerging as a desirable IT outsourcing destination thanks to the economic stability that they provide, and also to the proven expertise in terms of IT and business solutions.